Guaido invoked a constitutional provision to assume the presidency three weeks ago, arguing that Maduro's re-election last year was a sham. Most Western countries, including the United States, have recognized Guaido as Venezuela's legitimate head of state, but Maduro retains the backing of Russia and China as well as control of state institutions including the military. 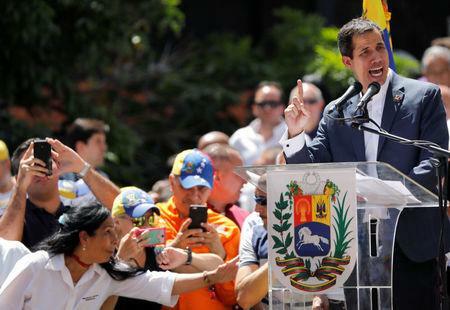 "Put yourselves on the side of the constitution, but also on the side of humanity," Guaido said, in a message directed at the military. "Feb. 23 will be the day for the humanitarian aid to enter Venezuela, so from today we will have to get organized."